1. Botox or dermal fillers? Lots of people are confused about neurotoxins and dermal fillers, so let me clear this up first. Neurotoxins (like Botox) work by temporarily stopping muscle movements. Some people are more expressive than others and these expressions can initially create temporary facial lines that only appears during the facial expressions but in time these lines became permanent lines. Neurotoxin injections can temporarily reduce the muscle movements and therefore stopping the formation of the facial lines. Fillers are used to increase facial volume that can be lost through the ageing process, sun damage and dieting. Permanent facial lines due to untreated muscles movements (by neurotoxin injections) can also be improved by dermal fillers. The common places where dermal fillers are used include the cheek area, lips (link to lips enhancement), temples and chin. 2. How can I be sure I am getting Botox? There are many brands of Neurotoxins. These includes Botox (or Vistabel), Azzalure (or Dysport) and Xeomin (or Bocouture). The most known brand is still Botox and the general public might still refer to neurotoxins injections as Botox injections. In this blog (for brevity sake) I also use the name Botox to mean neurotoxin injections. Cellite Clinic does use all of these brands. Clinical studies have shown little differences between these three brands but somehow most of our patients prefer Azzalure and thus we now mainly use Azzalure. 3. I don’t want to look frozen! Very few people want a tell-tale arched eyebrow or a super-smooth forehead. Most people want a natural look with a bit of movement. A good practitioner will know exactly how to achieve this by knowing where to inject the Botox and how to inject it. This is why it’s really important to be treated by a fully trained, experienced medic with an extensive knowledge of facial anatomy. Furthermore, to be safe and in order to get the best results, it is important for the doctor to check the full medical history of the patient and to know exactly what the patient wants. This takes time and needs to be done in a proper medical set up. Doing this treatment in a rush, in a non-private area of a busy beauty salon or during a “Botox Party” is not a good idea. It hurts a little but so far in my 18 years of performing Botox injections none of my patients has ever asked me to stop the treatment because it hurts too much! The best way to describe it would be a sharp pin prick which lasts for a few seconds. 5. How long will the effects of Botox last? This depends on the individual patient. The best results are only visible after two weeks. Most people need repeat Botox treatments after four months, but this can vary between three and six months. 6. What happens if I don’t want to carry on with it? Will I suddenly look older? No, you won’t. The effects aren’t permanent so the Botox will gradually wear off with no obvious side effects. Having Botox treatments early will prevent the temporary facial expression lines from becoming permanent lines such as the horizontal forehead lines, the crow’s feet or the number 11 frown lines! 7. 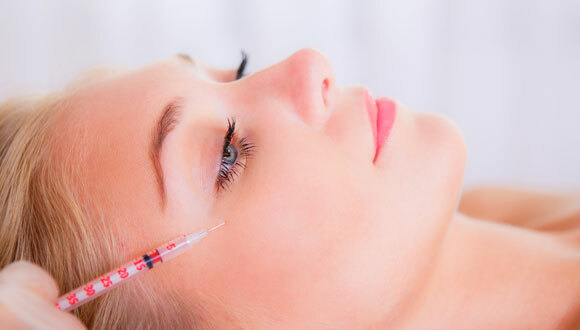 What are the side effects of Botox? The most common ones are redness and minor swelling, like a mosquito bite, due to the injections. These usually to go down after ten or so minutes – usually even before you leave the Clinic! Occasionally, bruising can occur and the rare complications include drooping eye lids and double vision. Again, this is why it’s imperative to be treated by a medically trained practitioner in a properly equipped place, who will know what to do if something does go wrong. 8. I’ve heard that you can get a droopy eyebrow. What if this happens to me? This can happen but an experienced medical practitioner will know exactly where to inject the Botox to lessen the risk of this happening. Also after the injection it is best to avoid rigorous activities for about four hours. 9. How can I be sure that my practitioner knows what they are doing and is experienced? Unfortunately, currently there isn’t a qualification that can certify someone for giving Botox injections. However, doctors are regulated by the General Medical Council and the GMC will stop any known untrained doctors from performing Botox. Experience is still everything; so always go to a doctor that has been injecting Botox for a long time. By the way, experienced doctors generally prefer to work from their own premises too. 10 How much does Botox cost? The Cellite Clinic charges £185 for one area, £235 for two areas and £285 for three areas. We consider both sides of the crow’s feet areas as one area.